Q: What can I get from your website? Q: Why should I choose an assistant? Q: Why should I fill in the business information? Q: How can I contact my assistant directly and quickly? Q: How can I send my feedback? Q: My account is unlocked, but I still cannot see the price. Why? Q: Where is the pricelist? Q: Why can’t I find my items? Q: How can I get the new arrivals? Q: How to make an order by the website? Q: Why cann’t I see the unit price when I submit the order? Q: Why didn’t the price display in the cart? Q: What does the final unit price depend on? Q: Must the quantity up to the MOQ? Q: Can I make a small value for the trial order? Q: Can I still make an order if the products are out of stock? Q: How to save the shipping cost? Q: Which shipping way is the best for me? Q: Can I revise my order after submitting it. Q: Which payment method do you accept？how long it will be confirmed? Q: Why can’t I pay by Papal? Q: How to submit the payment information? Q: How to check the payment details? Q: Why did I fail to pay by credit card? Q: When will i get the tracking number for my package? Q: What document do I need for the customs clearance? Q: What should I do in case of my package detained by the local customs? Q: Why is there no update for my tracking number? Q: Why did I get the opened box? Q:If the products have warranty, how long is the warranty period? Q:What products do they have warranty? Q:How do I apply for the warranty? Q:Who will afford the freight of returning back? 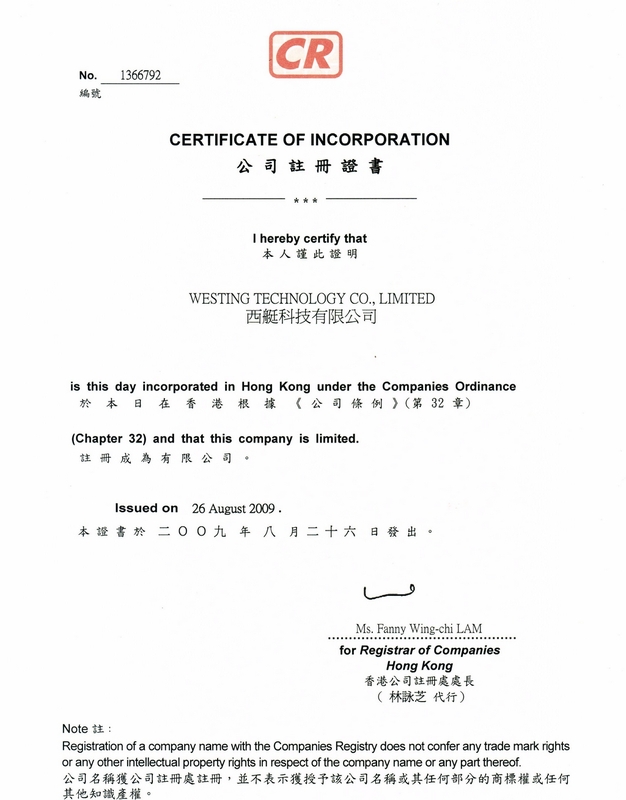 A: “Westingames” – Westing Technology Co. Ltd is specialized in Video Game Accessories & Repair Parts over 4,000 items. Our products are mainly for Microsoft Xbox, Sony PlayStation, Nintendo Wii/ NDS series, together with Apple & Samsung phones, like Flashing tools, Controllers, Housing Shells, LCD Screens, Power Supply, etc. 1). Various products in low MOQ and competitive prices. 2). Professional website platform and one-to-one online service. 3). Fast delivery – within 3 working days. 4). Products are all covered with warranty and insurance. Societe Generale de Surveillance S.A.
Click to check the certification document. A:1). You can see the price range. 2). You can enjoy the warranty service. 3). You can contract with your assistant easily. 4). You can get the latest products news. 5). You can check the process of orders. 6). You can review your history orders. 7). You can look over the financial statistics. A: 1). One-to-one online service. 2). Offer you with better price. 4). Provide you advice of products and shipping. 5). Supply you with new arrivals information. A: 1). Better for you to fill in your true and valid information. The more information you fill in, the faster you will see the price. A: Email, Calling or Social platform, such as facebook, skype, whatsapp, wechat etc. A: 1). Any feedback (referring to 1,Service complain for sales; 2,Apply change sales assistant; 3,Website suggestion.) can be sent to “Boss inbox“, here the service department mailbox in the direct charge of Boss. A: You need register in site, and login to click the Price list. A: Please logout and login again, then the price can be seen . If still not, please contact your assistant directly. Q: Where is the Price list? A: After register in site, please login your account; you can get the price here.If still not, please contact your assistant directly. A: 1). Please shorten your keyword. 2). Please change another similar keyword. 3). Please contact your assistant directly. A: 1). Choose what you like and add to your cart. Then confirm the order. 2). You can also send a list about the item ID and quantity in Excel Document to your assistant, then we will help you to make an order in your account. Q: Why can’t I see the unit price when I submit the order? A: After the process of order finished, the assistant will quote to you manually. A: 1). The more quantity you order, the better price you will get. If the quantity is less than MOQ, the final unit price may higher than the price range in the website. 2). The better price will be given to valued customers. A: We do recommend that the quantity up to the MOQ. For some special items, you can contact your assistant. A: Trial order is acceptable. As the high shipping fee of importing, we do recommend you that the value of your order should be up to $300. A: Parts of sample is free of charge, but according to our company’s policy, the customer must afford the freight or provide account of freight collect. A: Not, you should contact with your assistant to confirm the stock. We will inform of you if the product is available again. A: DHL/UPS/Fedex have a big discount when the package weight is more than 21KG. See the Chart below. A: For most areas, DHL is the regular way and popular by most customers. Beside DHL, there are many other shipping methods to choose, such as EMS, Fedex, Ups, Aramex, TNT as well as some other Special Line. A: Yes, but you need contact with your assistant for help if the order is confirmed. He/She will help you to revise your order. Q: Which payment method do you accept? how long it will be confirmed? Q: Why can’t i pay by Paypal? A: PayPal is not available for the moment. A: Login “My Account” , enter the “Awaiting Payment” and click “Pay Order“, you will see the payment table and then submit the money transfer information. We will confirm your payment within 12-24 hours upon the receipt of the money. A: You need login your account and click your order, then “payment details” will be found. A: 1). Please ask your assistant if you do not know how to make a payment by credit card. At present, it is only acceptable to make a payment through Aliexpress where all customers under the third party security. A: Usually, you will get your tracking number in the second day after your package is sent. Click here to see why. A: 1). If your package is still in China, please contact with your assistant to check it. 2). If your package is in your local country, please contact your local carrier (DHL/UPS/Fedex/EMS). 3). It is normal for EMS, please be patient to it. Your package is still on the way. Also you can make a call to your local EMS to check the latest news. A: Please check the completeness of the products firstly. And then contact your assistant ASAP if there is something missing. Note: Your package may be unpacking inspection by shipping forwarder, carrier, HK/China customs, and consignee’s Local customs. A: We use “Prepaid Only”and “Prepaid or Freight collect “ shipping methods. Note: If you want us to ship the order via above four shipping express,please leave your requirement to the note in the process of placing an order. Q: If the products have warranty, how long is the warranty period? A: In principle, Westingames will warrant all the OEM products for 6 months from the date of shipment. Q: What products do they have warranty? A: All the OEM products have warranty for 6 months from the date of shipment. Q: How do I apply for the warranty? A: 1).Please prepare the proofs of the items with problems, like photos or video. And fill in After-sale Feedback form. Click here to download. Send them to your assistant. 2). WT assistants will deal with the issues within one working day and offer the best solution within 3 working days. 3). Refund will be added in the Credit Balance of your WT account within 3 working days. Q: Who will afford the freight of returning back? A: 1). Defective product will be replaced with the same item or equivalent in the next order. Generally we do not deliver the replacement separately. The replacement freight at customer’s cost.